When it comes to high-quality airport limo service near me at fantastic rates and a phenomenal fleet of cars – you know who to call by now; VIP limo 4you has been your loyal transportation friend for years, and you’ve loved using our services all this time. Since your satisfaction is one of our chief goals, our team continually works to make every city and airport limo transportation a relaxing, stress-free experience you want to repeat. Next time you are headed to Region of Waterloo International Airport (aka Kitchener/Waterloo Airport (IATA: YKF, ICAO: CYKF)) count on VIP limo 4you airport limousine service nearby to treat you to the best experience possible. Our luxury vehicles are at your disposal and are chosen to agree with all of your transportation needs: whether you are traveling with your colleagues, family members or alone – you’ll find the right car nearby to go with your traveling ensemble. Huge or small chunks of luggage have never been an issue as our vehicles are spacious and comfortable. Your appointed driver will be the person to rely on for all traveling agreements and requests you may have while the our dispatchers handle any other matters regarding your travel. Book a ride on demand with VIP limo 4you to get top quality YKF car service at any given moment. 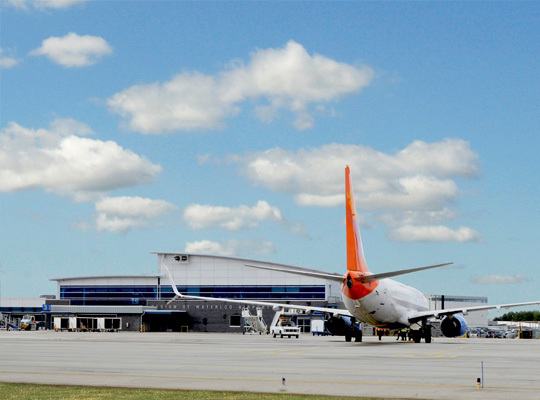 Known as IATA: YKF, ICAO: CYKF, the airport is of international type and classified as an airport of entry by Nav Canada; it serves the Regional Municipality of Waterloo in Woolwich, Ontario, Canada and is part of the city airport system of Toronto. Whenever you are traveling to or from the airport, be free to rely on VIP limo 4 you to handle your transportation. With all the luggage, plans and your (welcoming) party waiting, you don’t want to bother yourself with finding the parking spot near your location, handling your bags or finding your way around the traffic. Your appointed driver will take care of everything, no worries. Enjoy one of our spacious SUVs, sedans, the phenomenal Mercedes-Benz S-Class or the airport shuttle while your driver handles all-things-road-related. Unwind before you get to your destination, your business meeting or your vacation destination; with the professionalism provided by VIP limo 4you, the high-quality equipment inside the vehicles and overall commitment to your absolute satisfaction – you can’t go wrong with us. When you are traveling with the right team, every journey is pure pleasure – and that’s precisely what you are in for with VIP limo 4you.